Hello and welcome to my blog. Today I have a tutorial for you that will see you making quick and easy cards in next to no time. This is particularly helpful this time of the year as we ramp up to Christmas. Sometimes the sheer number of tasks ahead of us, combined with the increased social commitments, can see us struggling for time. 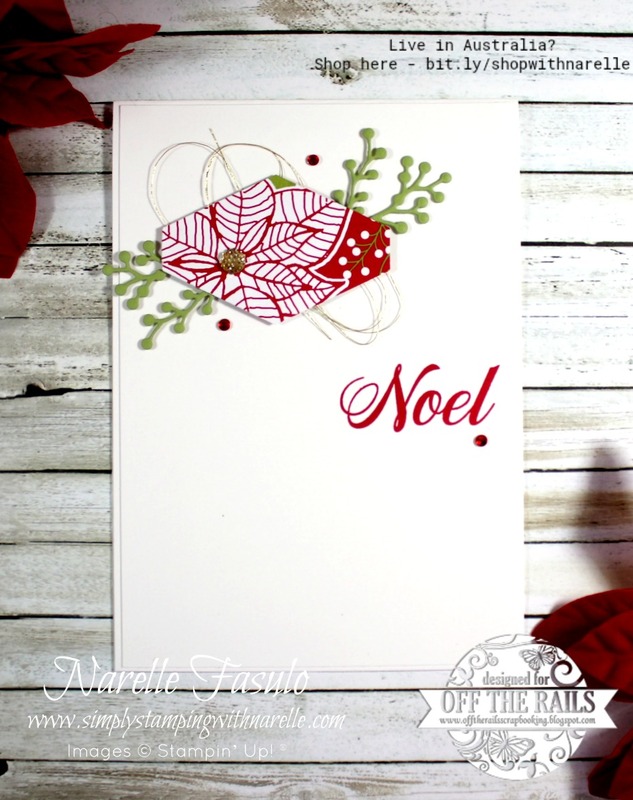 One area that often seems daunting is hand making your Christmas cards. It seems so much easier to just buy some to send, right. Wrong! Today I have one quick and easy method that will see you churn out your cards in next to no time. Plus get twelve cards from the one piece of patterned paper. 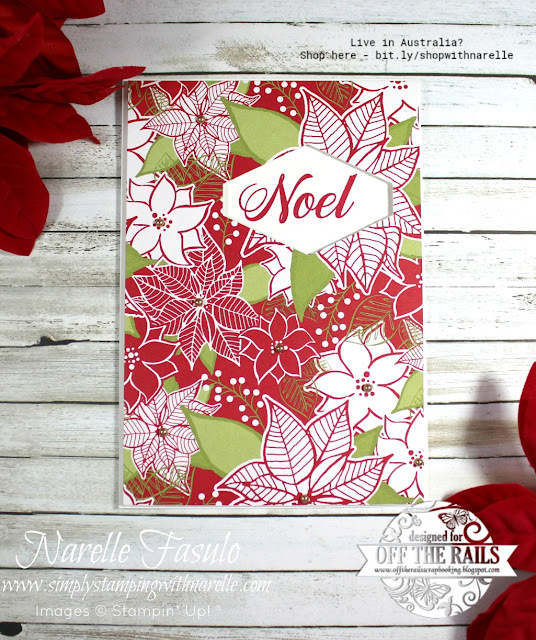 The patterns in this Under the Mistletoe Designer Series Paper make this way of making card even better. All the papers are gorgeous. Here are the cards. As you can tell, I have used the one piece of card front size patterned paper and got two cards from it. The trick is to use a nice shaped punch and punch a hole in your patterned paper. Then on the first card you are simply going to stamp a sentiment into the punched space. Add some embellishments if you like. I have added some metal pearls in the middle of some of the poinsettias. Then use that piece you punched out on the second card. Add some embellishments and a sentiment. And there you have two cards in next to no time and you have used minimal supplies. I told you they were quick and easy. No excuse now to buy and send store bought cards. I hope you have enjoyed this little tutorial. Let me know if you try it. To purchase any of the supplies I have used on these cards, please see the Shopping List below.